This is our new party package we offer, which is great value for money. 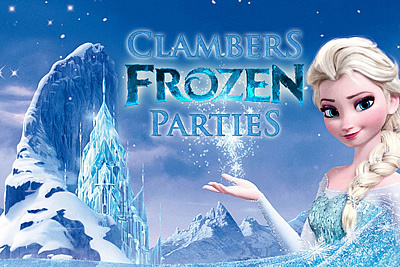 If your little one loves Frozen, then why not have a themed Frozen party. The party room table is themed to suit your party and so is the host, who will be dressed as either Elsa or Anna. The only thing you need to do is provide a birthday cake. We are here to take out the stress of hosting a child’s birthday party. If you have any special requirements then please let us know. We are here to help and will always do our best. Pass the Parcel game with special gift for the Birthday Child. - Early booking advised for weekends. There is an option for party bags on the booking screen. This is for each child to choose a gift from our retail wall when they leave. This is a charge of £1.75 per child.